The changing bright spots of Ceres: New evidence for geological activity? Ceres is the king of the asteroid belt, being the largest object in that region of the Solar System, and the Dawn spacecraft has shown it to be a very interesting world. While it is relatively small, classified as a dwarf planet, and very cold being so far from the Sun, there are hints that it has been surprisingly geologically active in the past and perhaps still is. Superficially it resembles the Moon or Mercury, gray and covered in craters. But there are also canyons, hazes, and unusual bright spots. Those spots have become a focus of much interest for scientists, and now new studies indicate that they appear to change in brightness from day to night, and may be evidence of ongoing activity inside Ceres. 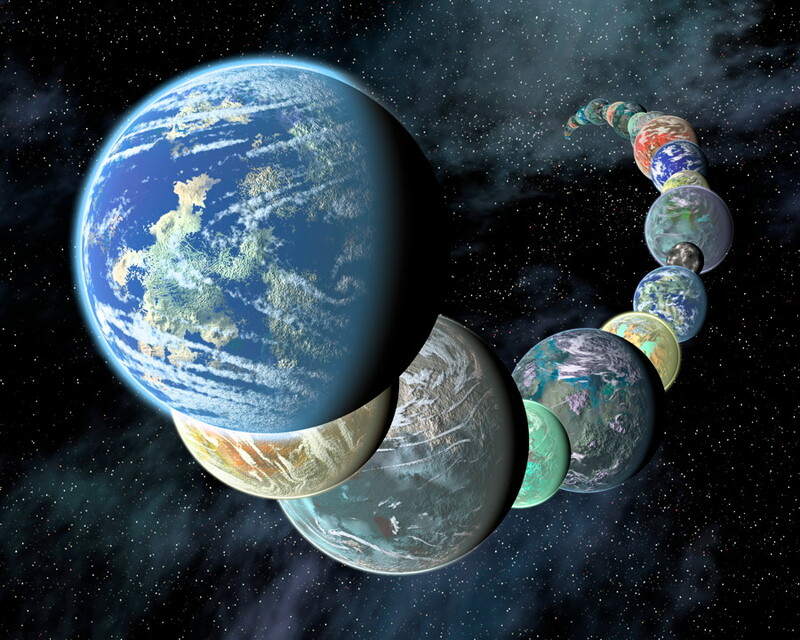 The new observations, complimenting those from NASA’s Dawn spacecraft, come from astronomers at the La Silla Observatory in Chile, run by the European Southern Observatory (ESO). 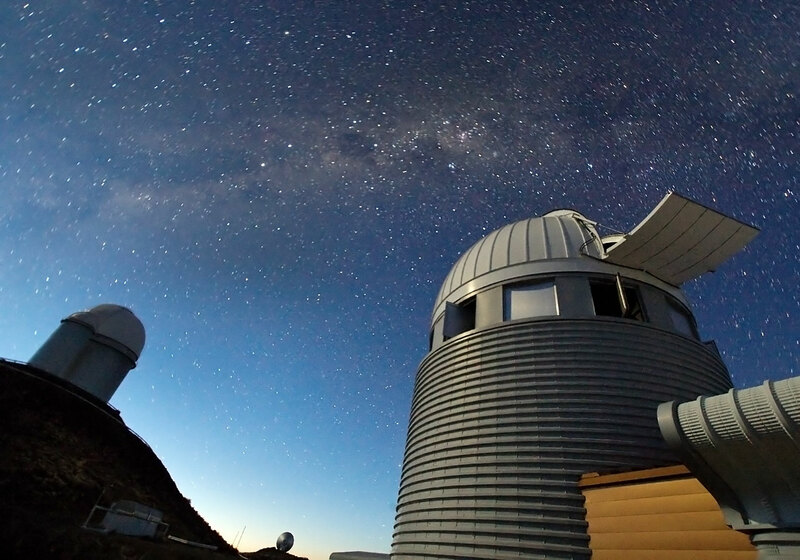 They used the HARPS spectrograph on the ESO 3.9-meter telescope to obtain very precise measurements of the spots, revealing not only the motion of the spots as Ceres rotates but also variations in the brightness of the spots between day and night. The team observed Ceres during two nights in July and August 2015. The new paper is available here. Being able to detect the motion of the spots was expected, but the additional observations of variations with the spots themselves were a surprise. So what is the cause of these changes? As the team explained, the answer is likely that there are volatile substances in the spots, such as exposed water ice or hydrated magnesium sulfates, which evaporate when sunlight hits them. During this time, plumes form which reflect the sunlight, making the spots appear brighter. But then the plumes tend to evaporate quickly, causing the spots to dim again. This cycle repeats each day and night on Ceres, which produces the observed changes, as well as other various random patterns, on both short-term and long-term timescales. Previous observations from Dawn have supported the interpretation of the material in the spots being some form of salt which is deposited after water or ice evaporates. Two new studies have been published in the journal Nature regarding the salt deposits, here and here. One of the new studies, led by Andreas Nathues at Max Planck Institute for Solar System Research in Göttingen, Germany, has shown that the bright deposits are consistent with a type of magnesium sulfate called hexahydrite. Epsom salt is another type of magnesium sulfate. Nathues suggests that the salt deposits were left behind in places where the water-ice sublimated off the surface, since Ceres has no atmosphere to speak of, after being exposed by meteorite or asteroid impacts. 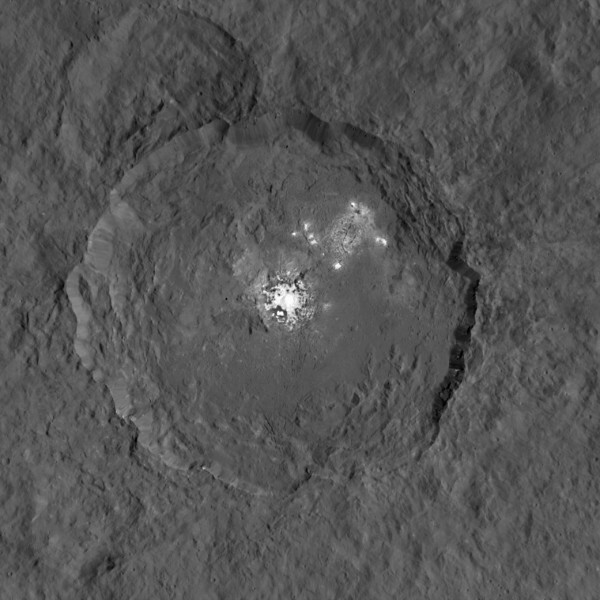 Over 130 bright spots have been discovered on Ceres by the Dawn spacecraft. 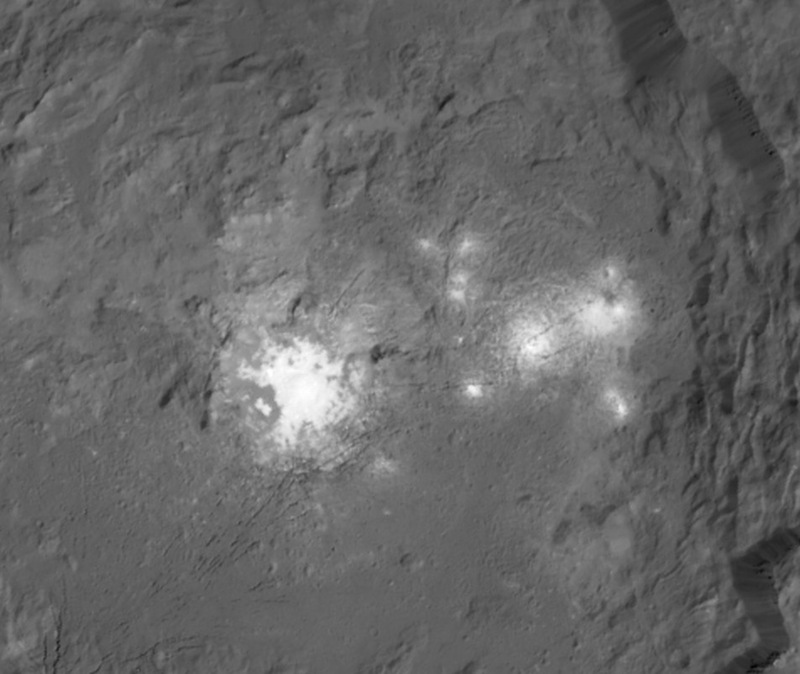 The brightest and most well-known spots are the ones in Occator crater, which can be easily seen even some distance away from Ceres. They consist of at least 10 individual spots, clustered close together. “The Dawn science team is still discussing these results and analyzing data to better understand what is happening at Occator,” noted Russell. The mystery spots have certainly been a source of fascination for scientists and the public alike; because they are relatively quite bright, they stand out against the otherwise grayish and rather bland landscape. For the most part, Ceres is pockmarked by many craters, indicating an ancient and battered surface, but the spots hint at other processes still ongoing today. One other unusual feature is the so-called “Lonely Mountain,” a tall conical hill which sits in the middle of nowhere all by itself. Dawn just returned the best images so far of this intriguing mountain. Such formations were not expected to be found on Ceres, due to its small size and presumed lack of geological activity, pre-Dawn mission. But again, Ceres has surprised scientists. The hill, formally called Ahuna Mons, is about 5 kilometres (3 miles) tall and 20 kilometres (12 miles) across at the base. It is higher than Mount Rainier in Washington and Mount Whitney in California, for comparison. 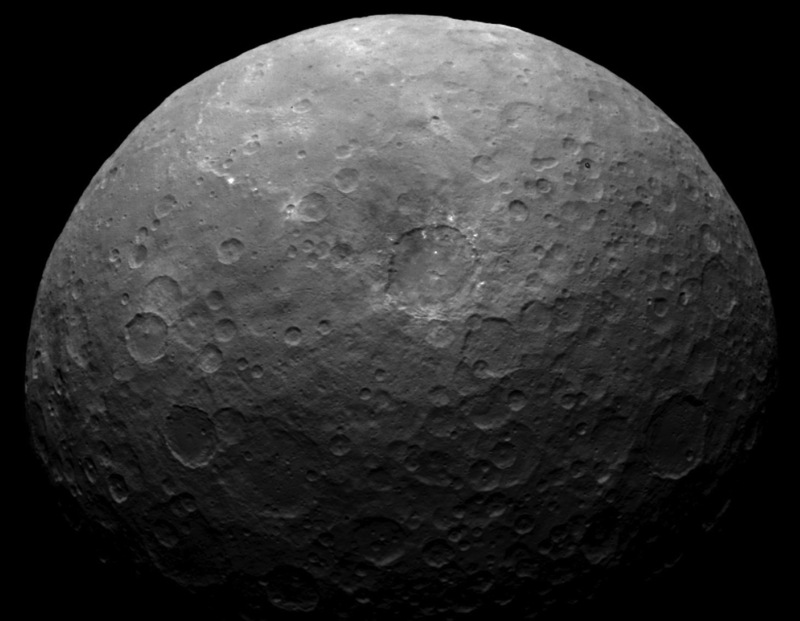 “Ceres has defied our expectations and surprised us in many ways, thanks to a year’s worth of data from Dawn. We are hard at work on the mysteries the spacecraft has presented to us,” said Carol Raymond, deputy principal investigator for the mission, at NASA’s Jet Propulsion Laboratory in Pasadena, Calif.
Ceres will be in the news again later this month, as there will also be a press briefing on March 22 with further updates, during the 47th Lunar and Planetary Science Conference in The Woodlands, Texas. This new discovery about Ceres’ spots adds to the massive amount of data still being sent back by Dawn. 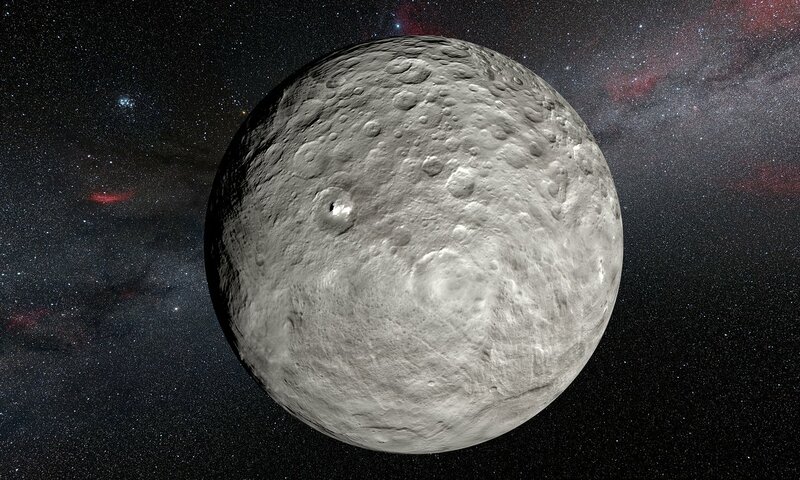 It also shows that Ceres is unique from other objects in the main asteroid belt, including the large asteroid Vesta, which Dawn had also visited before going to Ceres. With odd bright spots and mountains where there shouldn’t be any, there is still a lot to learn about this mysterious world.